Round up your supplies! 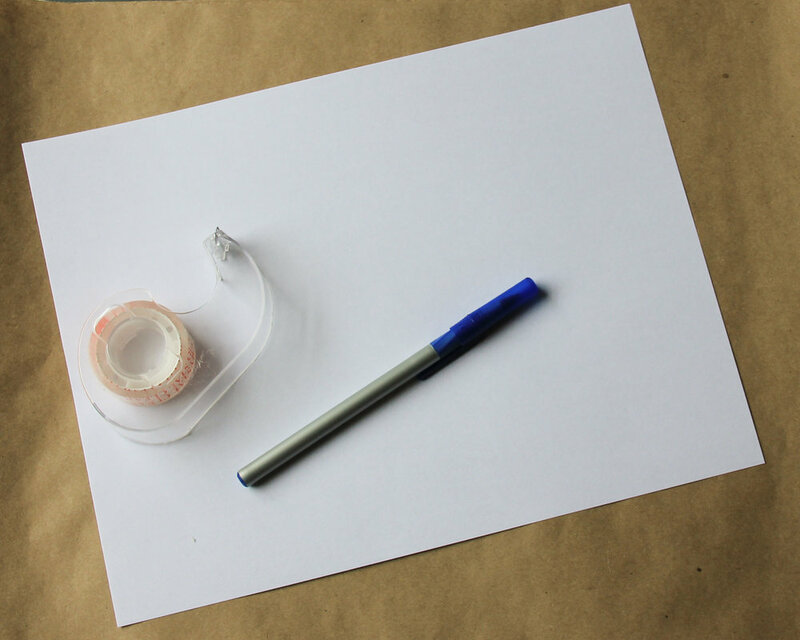 You’ll want some paper (we’re using recycled computer paper), a pen or permanent marker, and a roll of painter’s mask or other tape that will not damage surfaces. 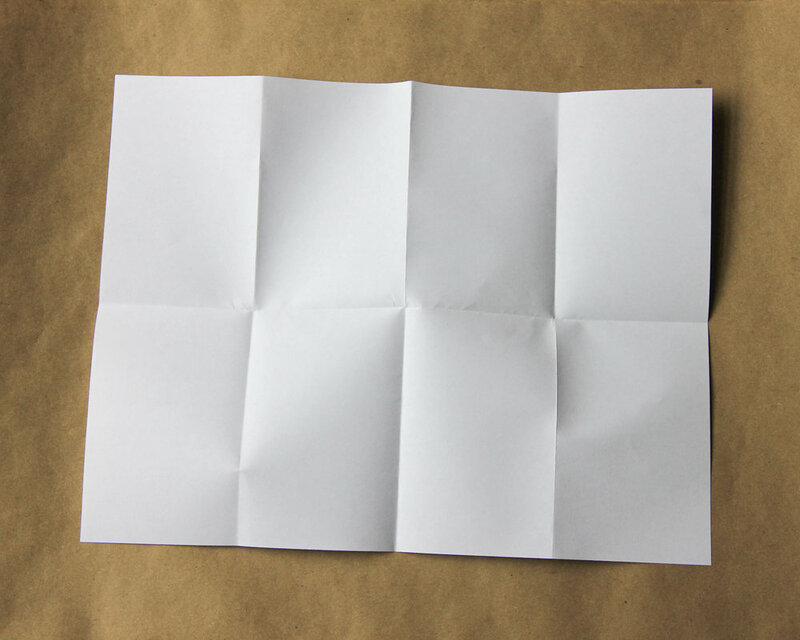 Fold your paper into eighths by first folding the paper lengthwise. Then, fold widthwise twice and unfold completely. Tear or cut along your folded edges. Don’t worry if the edges aren’t perfectly straight—it adds to the appeal, doesn’t it? Label the bottom of each of your scraps with our website (www.randomnoteproject.com). This way, when your note is found, you can see it on here! Write your note! If you’re having trouble, think of something you need to hear right now—or something you’ve needed in the past. Chances are very good that others will need to hear that message as well. We’re all in this life together and connected more than you realize! Be a note ghost! What does this mean? It means to hide your notes anonymously and mysteriously. We want the right people to find them at the right time. Also, please be respectful. We like to uphold the tenets of Leave No Trace (www.lnt.org), so please do not leave notes in National Parks, conservation areas, or businesses without first obtaining permission. Get social! Connect with other people who love Random Note Project on social media and see exclusive updates, events, and behind-the-scenes stories you won’t get anywhere else.